Out of stock - made to order. If you want a shoulder on the tailstock spindle we can make you a ring (+$20) with a set screw, but you won't need it and can make this also by yourself. 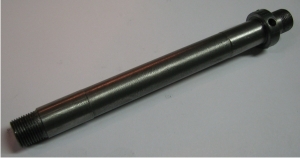 Use UNIMAT accessories on a Sherline lathe. Instead of using difficult to find M12 accessories you can now use standard Morse type accessories. 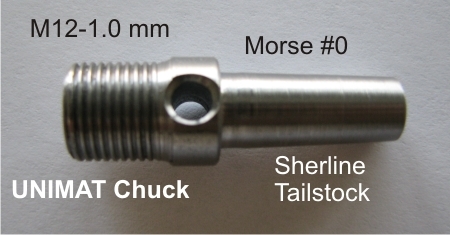 For example, nearly all of Sherline's MT0 tailstock accessories can now be used on an UNIMAT. 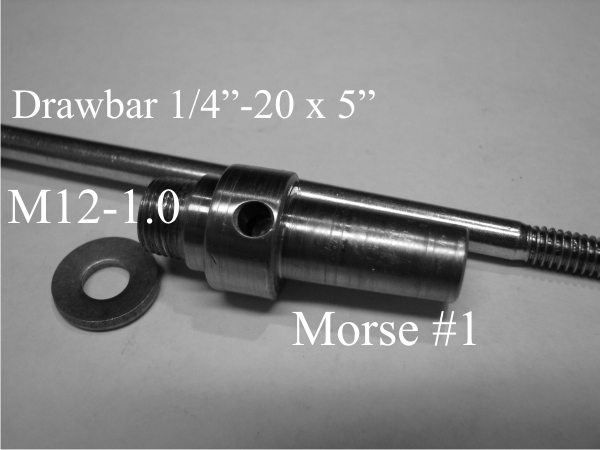 The UNIMAT tailstock/headstock spindle is simply replaced by a Morse #0 spindle which takes 5 min. The front end still has M12-1.0 as usual. 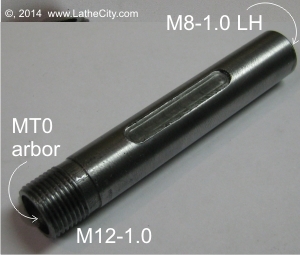 Use your old feed screw, M8-1.0 LH. Avoiding misunderstandings read the manual before ordering. Why we don't have "by now" buttons on all items? In some cases only one piece is in stock or the accessory is made to order. Therefore, contact us. In any case, we can also always make more within a few days.